Second volume in a Dover series of Liszt's piano transcriptions of Beethoven's nine symphonies includes Symphony No. 6 in F major, Op. 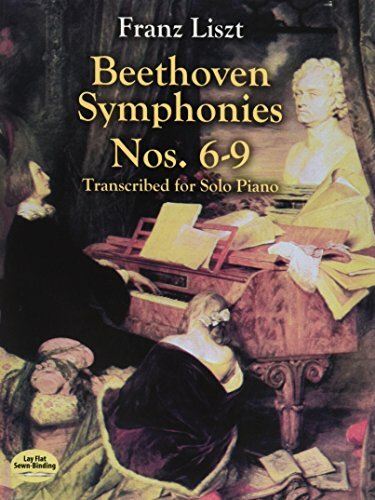 68, "Pastorale"; Symphony No. 7 in A major, Op. 92; Symphony No. 8 in F major, Op. 93; and Symphony No. 9 in D minor, Op. 125, "Choral." Also contains Liszt's handwritten French preface to his transcriptions and an English translation, plus an introduction by Dr. Alan Walker, author of the definitive Liszt biography.